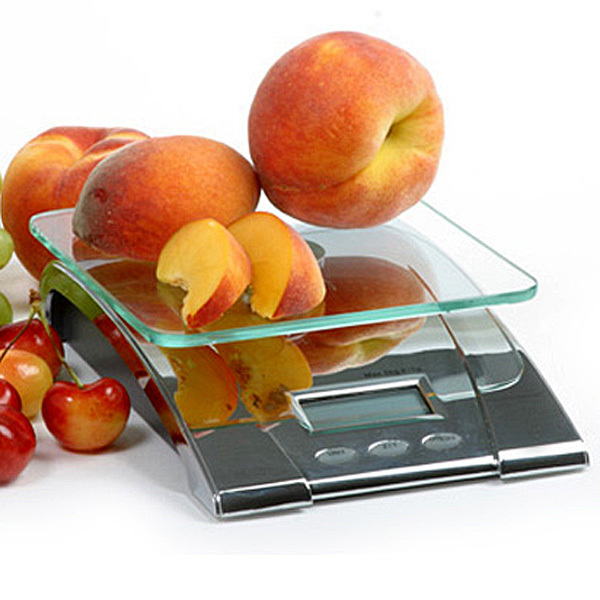 Unlike other scales, this attractive digital scale zeros out at the touch of a button. You may also add multiple ingredients incrementally so there is no need to weigh ingredients separately. Large easy to read digits 9 volt battery included. Easy clean up by wiping down with a damp cloth. Measures up to 11 pounds.